Quickly add players from your contacts or another team. Configure their skill levels and rank players at positions. 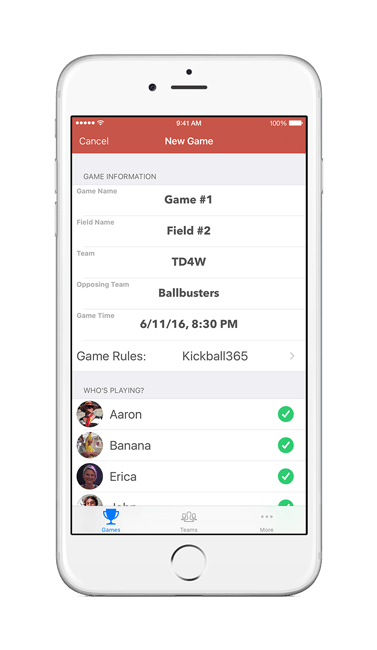 Use pre-configured rules for Kickball365, WAKA and more. Kicker songs let you get your jam on while you kick. Let's face it, creating a lineup is a pain! You never know who will show until the last minute and by then your sheet is all scratched to hell because of all the erasing. 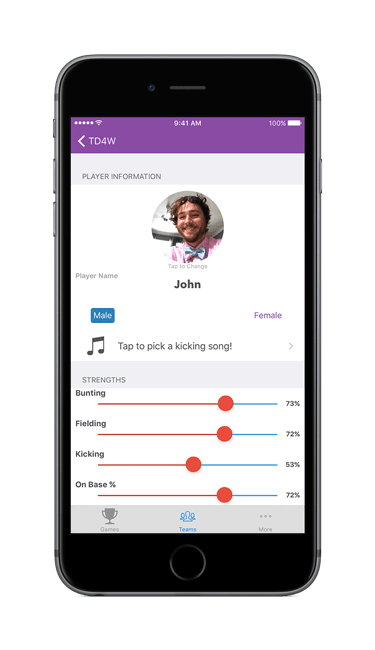 With Kickball Coach you can literally create a lineup in seconds that is custom tailored to the players who are there. 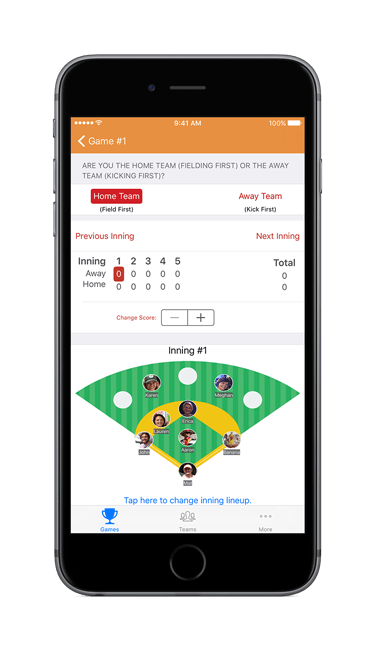 Each lineup is optimized based on your player's skills and automatically balanced to include the right numbers of girls and guys per inning. Drag and drop players to change the kicking order. Add and remove players from a game. Rearrange player positions by inning. Set an MVP and the game score. Share the lineup with your team.